Join us for The Great Escape VBS! Meet Moses as we walk through the Bible. Discover how he found the courage to lead the Israelite people from captivity to freedom. Experience what life was like as a slave of the Egyptians. 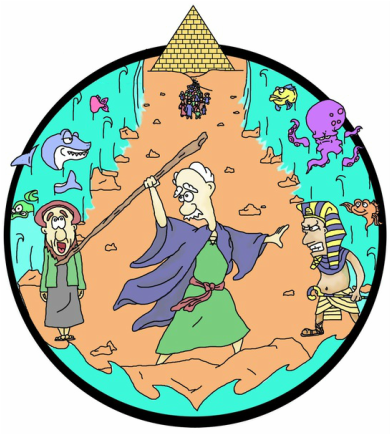 Witness Moses as he stands before Pharaoh and demands, "Let my people go!" Learn about the plagues and why God sent them. And finally, join Moses and his people for the ﻿Great Escape﻿.